Did You Know? Parmesan Lids Fit On Canning Jars! Every so often a great discovery comes along. Sir Isaac Newton discovers gravity. Einstein discovers the theory of relativity. Copernicus discovers the sun is the center of the solar system. Bloggers discover that parmesan cheese container lids fit on canning jars! That’s kind of cool, dontcha think? As long as you use a regular mouth sized canning jar (not the wide mouth variety) the flip top parmesan lids screw on nicely and give you a way to either sprinkle or pour the ingredients out. I suppose you could just recycle a used parmesan container too if you were looking for storage for one of your homemade mixtures, but the canning jars are more durable, look a little nicer, and and with glass you don’t have to worry about any of those BPA plastic chemicals leaching out into your food stuffs. You can also get a little more size variety as you can use either quart size or pint size jars. Now, what shall I do with this great discovery? I’m thinking maybe a batch of my crumb coating for fish would store very nicely in this container. How about you? Did any ideas pop into your head for how this could be useful? Please share with a quick comment! My Kraft Parmesan cover does not fit! Won’t screw on for anything. Hubby tried too. Any clue why? I have Ball and Mason. Picture shows Kerr. How about homemade carpet refresher. Baking soda and favorite oil sent. You could put raisins in the jar and put them in the cupboard. That way you see how many you have and it serves as a serving container for salads. This was one of my first pins. I finally got around to trying this today and I was a little disappointed to find out that while the Kraft lid fit, the the store brand (Winco) did not. Well darn! OMGosh! You won’t believe what just happened! I was making your recipe for Caesar Salad Dressing and putting it in one of my pint jars. I accidentally put the canning jar lid on the Parmesan cheese container and didn’t notice until I was ready to shake up the Parmesan mixture. Where’s my lid? Oops! I noticed I had put it on the Parmesan jar and it fit !! Well, that in itself was an amazing discovery since I had wanted to order plastic lids for my canning jars for a long time but couldn’t see spending money on them. Well, lo and behold! After making the Caesar Salad Dressing from your website, I went back to the site and discovered that YOU TOO had made this discovery! What are the odds that I’d find your article on this just MINUTES after I’d discovered it for myself? Well… now I’m spooked!! BTW, I’m so happy to have discovered this that I went back and commented on some of the comments here. You guys are great! Oh that is very weird Linda! We’ll chalk it up to great minds think alike – or have the same accidental discoveries – ha! Yes!! I’m so tired of shaking out powered sugar through a strainer! This sounds wonderful! I hope the holes are not too big. But I don’t really care if they are. I don’t mind if the sugar isn’t super fine when it comes out of the holes. What brand parm and what size is the cap in the photo from? I believe that was an Aldi parmesan container, in the 8 oz size. The Aldi containers are the same size as the Kraft parmesan containers and those are usually the only two brands I buy. I screwed this onto a mason jar to use as a lid for a beverage. I can open up the “sprinkle” side and put a straw in to drink through. This is great for when I’m outside! Thanks for the discovery. 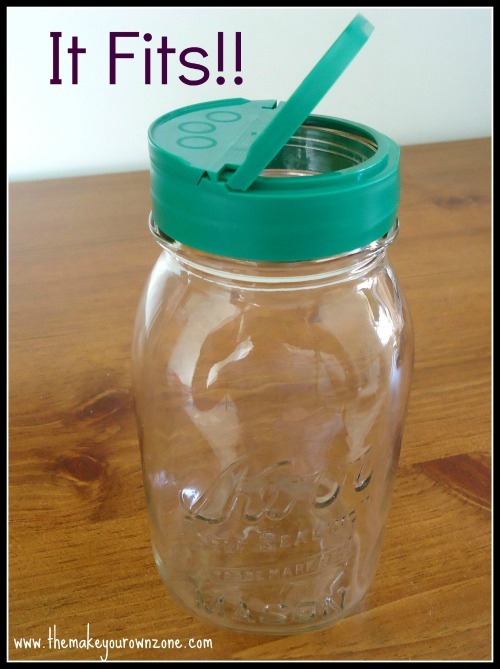 Excellent way to use this idea to make an on-the-go beverage container! Thanks Natalie! The homemade flea powder I am going to make and the homemade carpet powder I already make! This is so awesome – thanks! Those are all great uses for this idea. Hopefully someone will save you some parmesan containers! What a FABULOUS idea! I buy my spices in bulk and usually just keep them in my old family jar collection, but would be nice to have a shaker. Love this! Thanks so much! The larger jars of Kraft Parmesan cheese from Costco have lids that fit wide-mouth canning jars perfectly! It’s great to know there are size choices; makes them that more useful. I like the containers for homemade seasoning mixes; garden uses like homemade organic fertilizer or bug repellent (e.g., sprinkling diatomaceous earth); holding several small leftover bits of yarn which can be threaded thru the holes. Also great for keeping homemade spice blends to sprinkle in water on the stove for scenting the house. Thanks a bunch for this one! I didn’t know that. I’ve wanted plastic lids for all my mason/kerr/ball jars for a long time but I’ve been too tightwad to buy them. Now I don’t have to! I’m psyched !! And this means that a mason jar lid can be used with the parmesan cheese container, too, right? Not sure what to do with that, but seems like there might be some possibilities there. Transfer your Parmesan cheese to the mason jar and use the Parmesan cheese jar lid on it. Looks nicer and no PBA from the glass jar. I have used this and plastic caps from mayo, some peanut butter, and metal lids from refrigerated salad dressings. They go on my home made pickles and jellies that are in use in the fridge. It would look even nicer if you spray painted the lid gold! You’re right Jackie! The parmesan cans can be “up-cycled” with paint or labels to make cute container. Has anyone tried the larger caps from Sam’s or Costco? Do they fit either a regular mouth or a wide mouth jar? 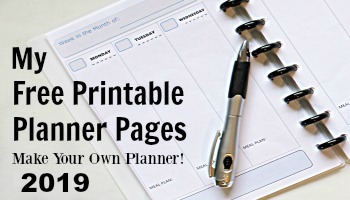 Great idea for summer! This certainly would be a way to have a beverage in a covered container to keep the flying insects and such out of it, and still be able to flip the lid open and have a sip. Put the lid on your mason jar drink. You put lid down and keep the critters out of your drink. I love the idea for baking soda and flour. I make bread and pizza crusts all the time, and this would be so much easier than dragging out the flour canister. Thanks! Hmmm… I must be buying the wrong brand of peanut butter because my peanut butter lids don’t fit mason/kerr small mouth jars. What brand are you buying? I found a link on Pinterest for growing your own sprouts. I love it, but using cheese cloth is kind of a pain once the sprouts really start to, well, sprout! I can't wait to use this! Thank you. Small jelly jar for crushed red pepper! Love it! Love it! I am using my lid to place on a glass jar I lost the lid to. It will now hold my homemade scouring powder (1 part table salt and 1 part baking soda) and I can finally get rid of the plastic container. (One more step in ridding our lives of excessive plastic.) Thank you. Shared some 'blog love' with you today in the form of an award! I like to buy the "shredded" parmesan that comes in the same kind of container. It has the consistency of shredded cheese rather than the powdery "grated" parmesan. How about keeping baking soda by the sink for a mildly abrasive cleanser. Or flour near where you kneed your bread – just sprinkle on the counter. Flax seed to sprinkle in oatmeal. Too bad homemade glitter doesn't glitter cuz it would be perfect for that! But this means you would have to buy that powdered parmesan stuff just to get the lid? If you don’t have it then go to the dollar store and buy parmesan there. I have a "make a mix" cook book and I like to keep some quick mix ( think b1squick) and muffin mix on hand to whip up all kinds of dishes quickly. This would be perfect for them.